Normally films suffer when they have such a large ensemble of brilliant actors. And it’s usually because none of them is given adequate screen time to show us what they’ve really got. 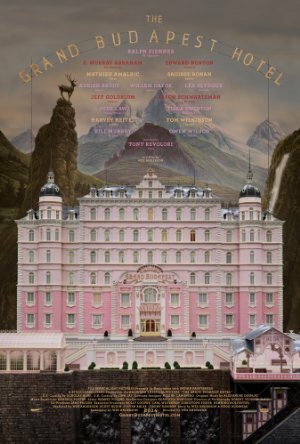 The Grand Budapest Hotel, however, is one of the greatest examples to the contrary. No other actors could have executed the eccentric brilliance that is a Wes Anderson film as well as this ensemble did. I have always been a fan of Wes Anderson, and for quite some time The Darjeeling Limited remained my favourite of his work. Now, though, because he has surpassed even his own quirkly genius with The Grand Budapest Hotel. I am sad to give this film such a low score on this one, but I must. With a cast of such lauded talent, only 3 of them were women, one of whom was dead practically from the off. One plays an integral roll in helping prisoners escape by way of baking tools into her pastries. The women never speak to each other, if my memory serves. There are two persons of colour in the film in a substantial role, but they play a younger and older version of the same character. A fine pulchritude of stunningly vivacious colours that are truly a treat to behold. The score was fun, as they always are in his films. The extravagant costumes fit the scenery so perfectly. It took a little bit for me to string together everything that was being strung. But this really is a wonderful and quirky tale that everyone should see. No dragging out of scenes here. Wes Anderson’s films seem to have acquire a “hipster” status to them, which should automatically make it a film of such grandiosity as to be nauseating. However, Mr. Anderson has perfected the art of humble grandeur and self-deprecating egotism. My second favourite film of the year, in close odds with Birdman.